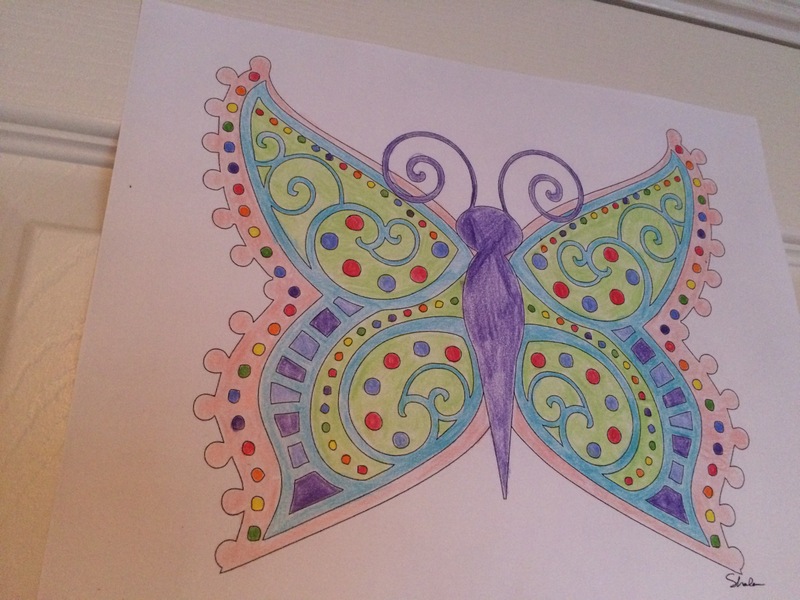 So, have you heard about the new trend of coloring books for adults? 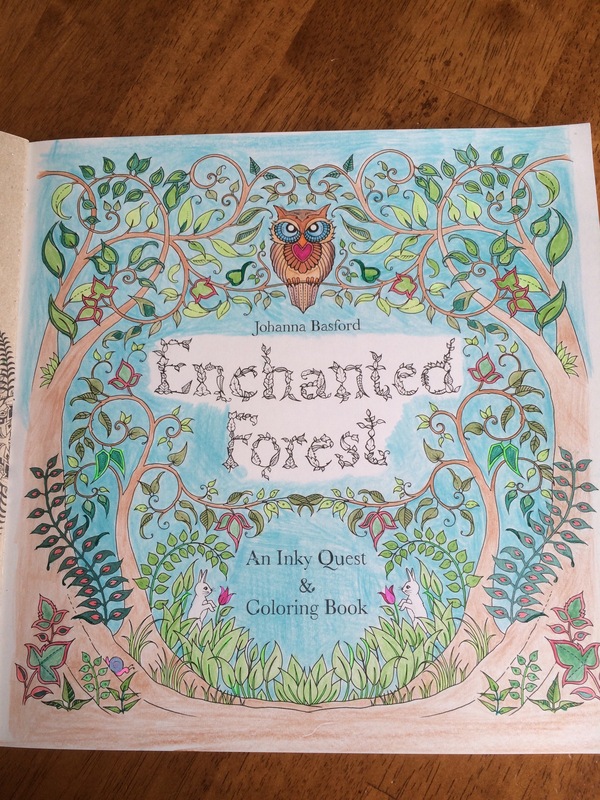 For the past several weeks, Johanna Basford’s coloring books, Secret Garden and Enchanted Forest, have topped the Amazon bestseller charts. Full of fanciful illustrations, with plenty of room to color, these books are touted as everything from play for adults to creativity boosts to relaxation and meditation aides. And I say, yes to all of the above 🙂 I’ve been coloring with Fox for about three years. 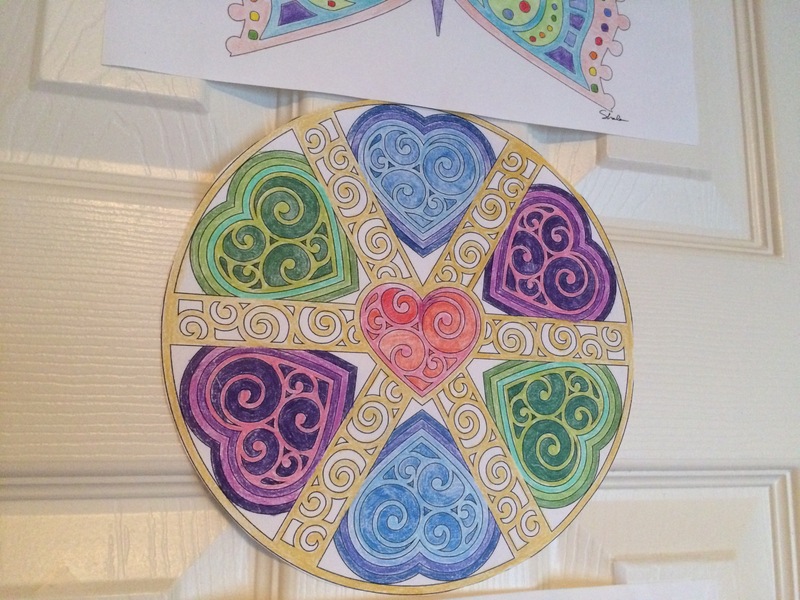 I started out with free mandalas and downloads from Don’t Eat the Paste. (Several of the ones in the photos are from that site). I saw Basford’s books a few months ago and ordered them quickly thereafter. They are wonderful, detailed and rich, with lots of hidden things to find. As a recovering type A (my RL friends and family need to stop laughing at that! ), I have tried to meditate multiple times. My monkey mind just doesn’t want to cooperate. 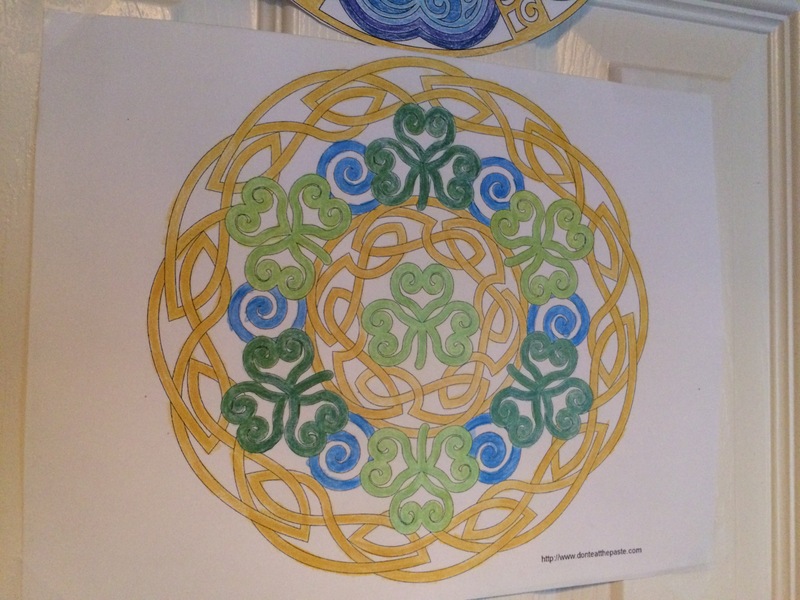 However, with coloring, I can fall into a meditative sort of trance. I think it’s because the repetitive motion keeps my hands busy and the inner critic quiet. I keep a notebook beside me and write down any ideas that pop up. That’s how I’m brainstorming my current WIP, Forever a Bridesmaid. 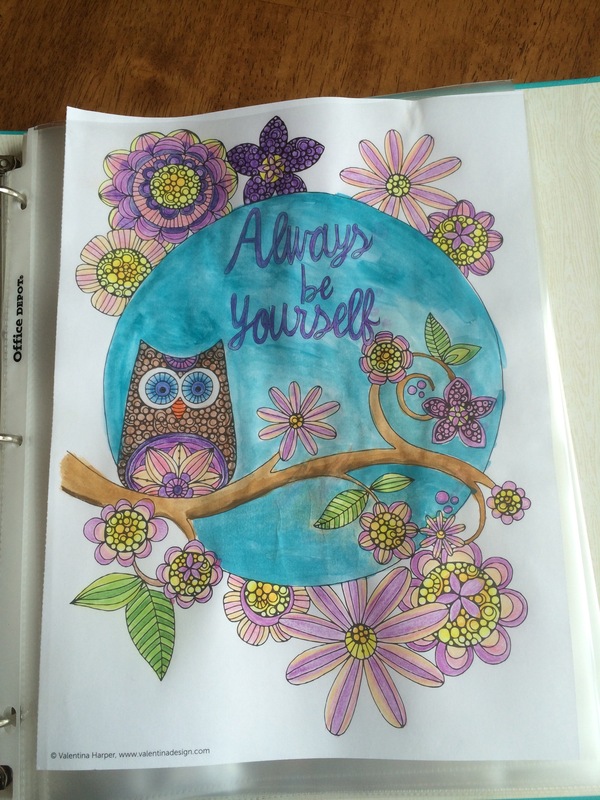 Grab yourself a box of crayons or some colored pencils and give it a try yourself.